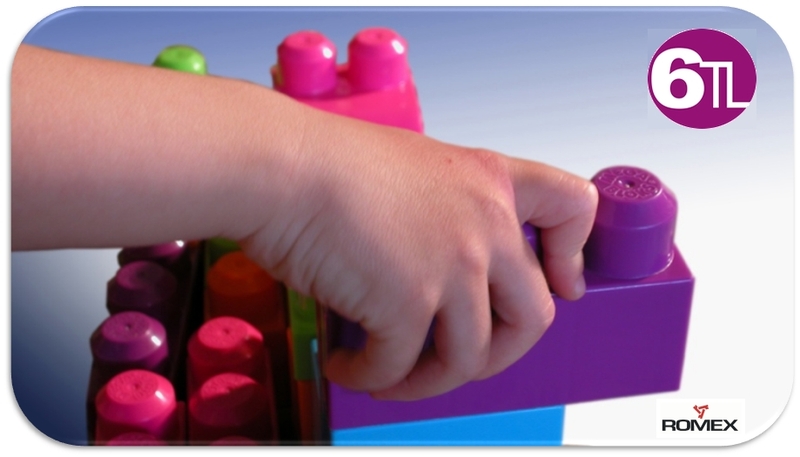 SMART testsystems (LEGO Approach) - Testprobes, Testfixtures en Testsystemen. Smart test systems, ready for the future. The world as we know it today has been going through three major technological revolutions. After the first Industrial Revolution, beginning in Great Britain at the end of the 18th century and ending in the mid-19th century, moving from an agrarian economy to the introduction of mechanical production methods, and the second Industrial revolution moving from the industrial production and the birth of the factory at the start of the 20th century introducing an age of affordable consumer products for mass consumption. In the late 1960s the third industrial revolution added the use of electronics and IT in industrial processes which opened the door to a new age of optimized and automated production. Today we stand on the edge of a fourth industrial revolution; one which promises to marry the worlds of production and network connectivity in an “Internet of Things” which makes “SMART Industry or “INDUSTRY 4.0” a reality. 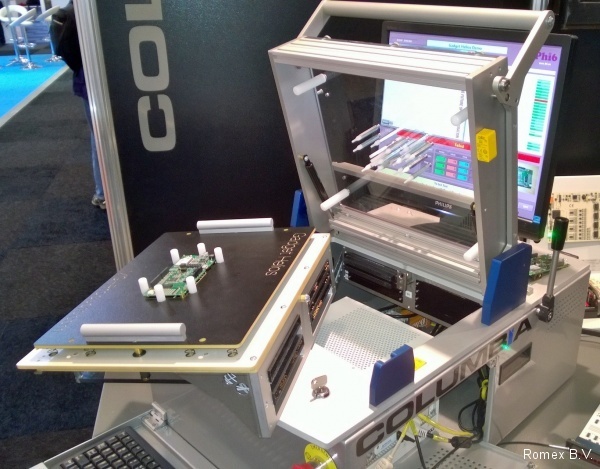 “Smart production” becomes the norm in a world where intelligent ICT-based machines, systems and networks are capable of independently exchanging and responding to information to manage industrial production processes and among those also the electronics production. The conditions which make the fourth industrial revolution Smart Industry or INDUSTRY 4.0 possible are already well on their way to be adopted in many European countries. Their continued role as competitive and innovative manufacturing industry sectors. The technological leadership in industrial production research and development. The position as an embedded systems technology leader gives birth to enabling cyber-physical system (CPS) technologies which will marry the digital virtual world with the real world. 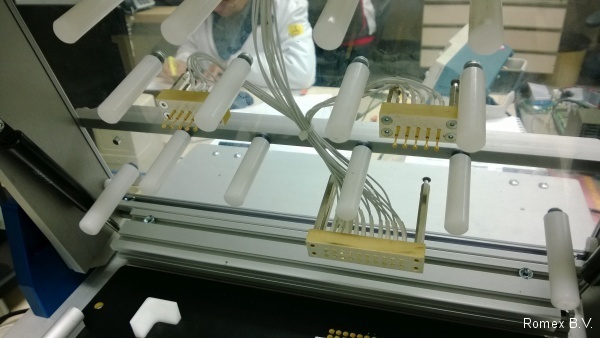 Cyber-physical production systems (CPPS) made up of smart machines, logistics systems and production facilities allow peerless ICT-based integration for vertically integrated and networked manufacturing and testing of products. 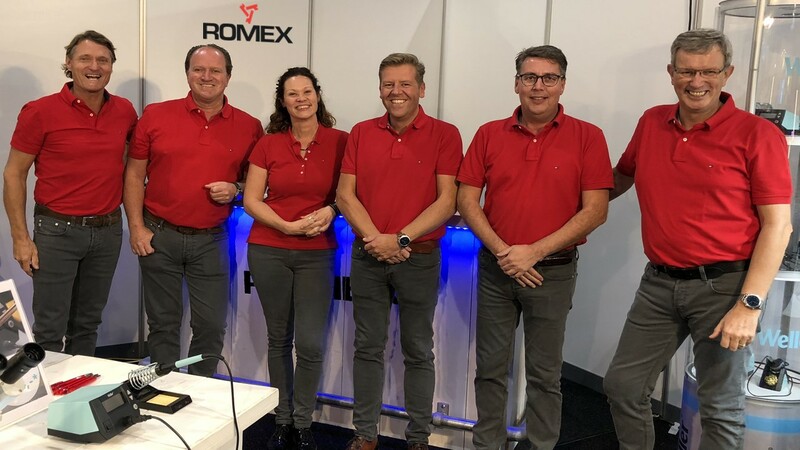 Romex as a leading trading company in The Netherlands has recognized the importance of this new revolution. With partners like 6TL and VPC Romex can already support this philosophy (SMART industry or INDUSTRY 4.0.) in Test. 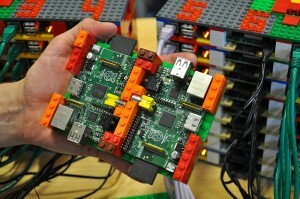 6TL saw this upcoming fourth industrial revolution, developed a large number of SMART modules and called it fastATE®. fastATE® has being developed over the years to help independent engineering teams to become much more flexible, efficient, cost effective and faster. 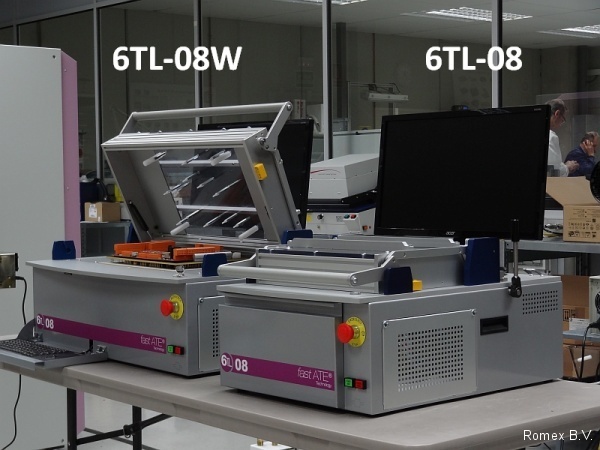 6TL’s fastATE® enables engineers to build better test solutions for their market in record time without having to reinvent the wheel each time. 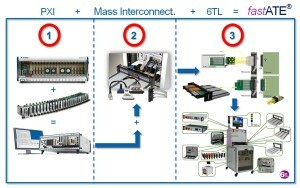 The modular approach of the 6TL product range and the easy way to integrate these modules into a test solution, whenever needed, will enable engineers to focus on their key competences and prevent them loosing valuable time defining all other relevant, but less important thinks, needed to create the perfect test solution for the job. Click on the picture above to enlarge it. 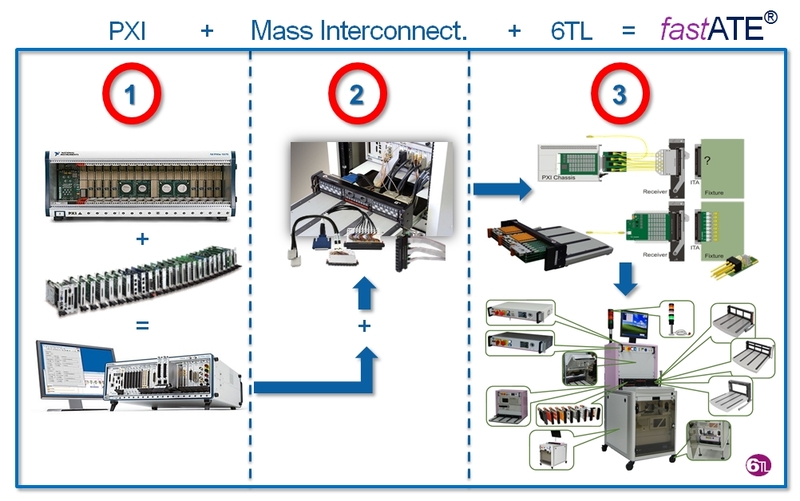 (2) For a production test system you need first a reliable Mass Interconnect system to provide flexibility and reliability to your measurement rack and for the final test solution. 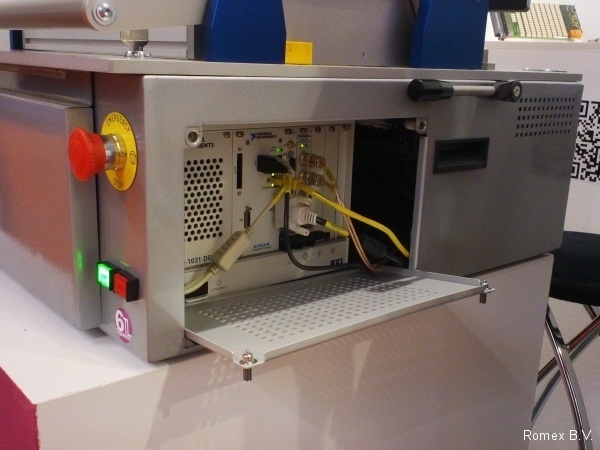 Using the modular approach of VPC with their pre-configured cable solutions and extended range of Mass Interconnect Solutions, they are the ideal interface for your production test system. 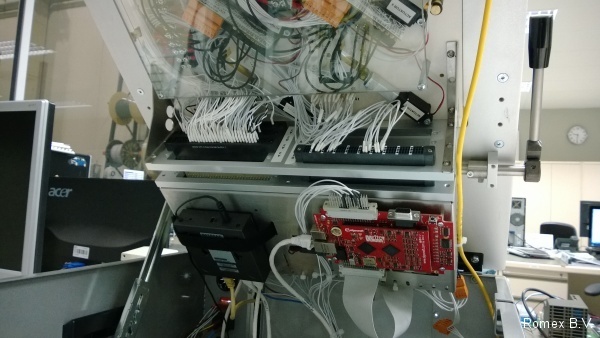 One disadvantage of Mass Interconnect is the need for additional cabling between the measurement electronics and the Mass Interconnect interface receiver. (3) To prevent as much as possible the additional cabling and to build your final test solution you select as many 6TL fastATE® Modules as possible. fastATE® YAVModules are optimized for use directly inside the VPC 90 series Mass Interconnect Interface and typically developed to optimize the configuration of your final test system. Using these YAVModules require no additional cabling resulting in less connections, shorter signal paths, better signal quality & integrity and simplify the documentation and wiring of the entire test system solution. 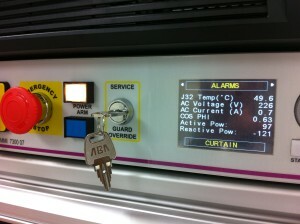 Detail of the MMI inside a fastATE testsystem. When done with this optimization that even might result in a smaller PXI configuration and reduced rack space you select the additional fastATE® modules like the MMI (Man Machine Interface (see picture)), your in-line or 0ff-line base test rack or handler, your ergonomics modules, your fixture system, pushers, lifters, light tower, communication etc. etc. 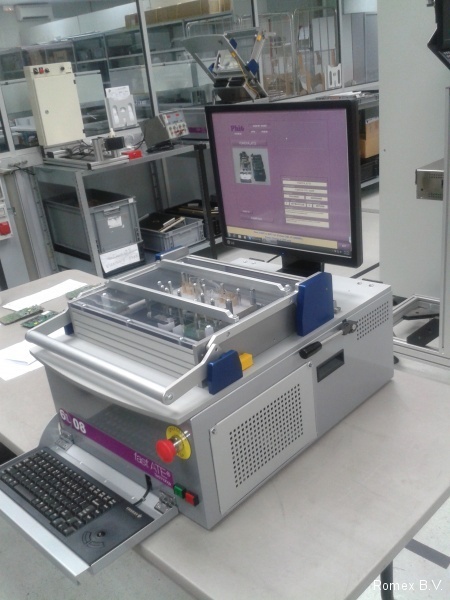 and you will end up with your ideal test system optimized for re-usability, flexibility, reliability and modularity. All these advantages will enable you to build the system in record time, typically 3 -4 weeks after the order has been placed. Due to the use of the fastATE® MMI Module your system will be directly ready to connect to the internet and become part of the Internet of Thinks, checking and monitoring constantly the condition of your test system, input power, temperature etc., meaning that all of the above fits perfectly in the new fourth industrial revolution, SMART Industry or INDUSTRY 4.0. 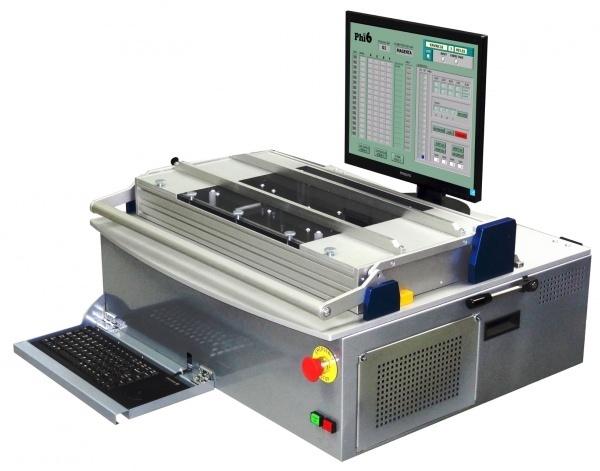 Watch also our video and see for yourself how simple it is to integrate a flexible and fully automatic test system in your factory of the future, using fastATE® from 6TL. Thanks to fastATE® and industry 4.0, Smart test can be integrated now already to help create the factory of the future. Als u zich abonneert, dan houden wij u op de hoogte van alle nieuwe ontwikkelingen op Test & Measurement-, ESD-, Cleanroom- en Soldeer- gebied bij Romex B.V. Voeg u bij de 1 649 abonnees die u al voor gingen.